This year has flown by and as we head into the holiday season, tax is probably the last thing you want to think about but there are some important dates to remember as well as changes coming up in the horizon for the new tax year. The tax landscape has changed for higher-income individuals. 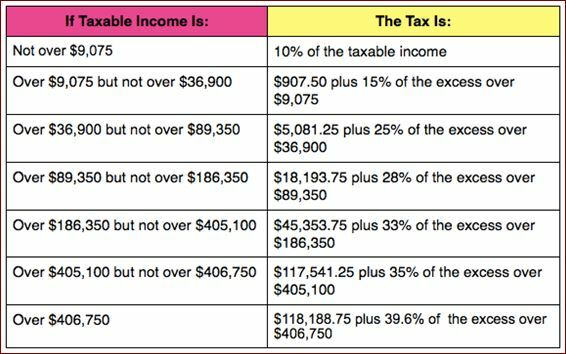 For most individuals, the ordinary federal income tax rates for 2013 will be the same as last year: 10%, 15%, 25%, 28%, 33%, and 35%, however, the American Tax Relief Act passed early this year increased the maximum rate for higher-income individuals to 39.6%. There are also two new Medicare taxes this year. If your wages exceed $200,000 ($250,000 if you’re married filing jointly, $125,000 if you’re married filing separately), the hospital insurance (HI) portion of the payroll tax, commonly referred to as the Medicare portion, is increased by 0.9%. In addition, there is a 3.8% Medicare contribution tax which generally applies to some or all of your net investment income (NII) if your modified adjusted gross income exceeds the same dollar thresholds. The threshold amounts are not linked to inflation and so these will remain the same for 2014. The NII tax applies to unearned income such as interest, dividends, capital gains, annuities, royalties, rents and income from businesses in which the taxpayer does not actively participate. 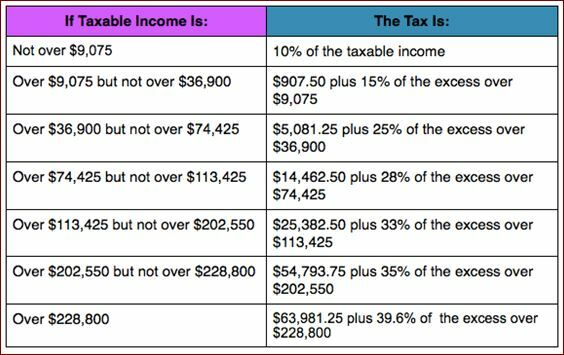 Note – The 3.8% rate is in addition to the usual tax rates, therefore investment income being taxed at 39.6% will also suffer the Medicare tax which will bring the rate to 43.4%. See our post Obamacare and You – What Expats Need to Know for more information. 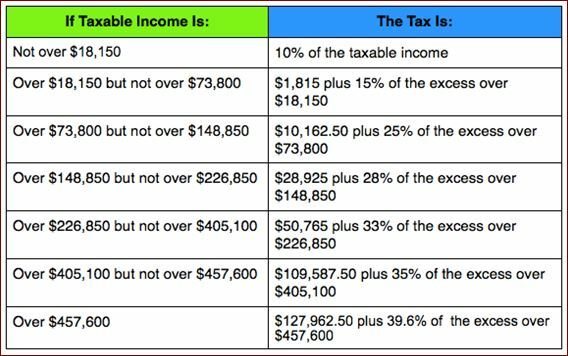 The American Taxpayer Relief Act has also increased the top rate of tax for long term capital gains and dividend income from 15% to 20% for higher income taxpayers. Short term capital gains are taxed as before except the new top rate of 39.6% applies. Top estate tax and gift tax rate continues to be 40%. The limitation does not apply to the medical expense deduction (this has its own restriction which used to be any qualifying expenses over 7.5% of AGI, but has now increased to 10% of AGI), investment interest deduction, casualty, theft or gambling loss deductions, which have their own restrictions. These are $3,900 for 2013 and $3,950 for 2014. However, these are also now subject to a phase out. 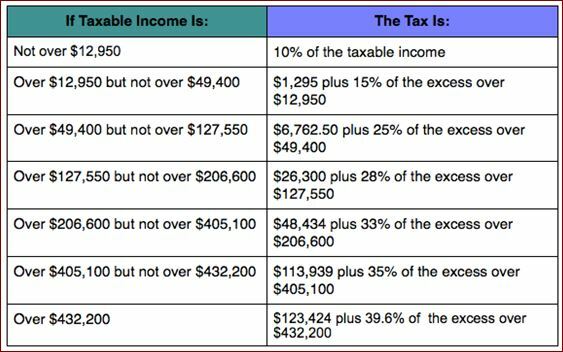 The threshold rates are the same as those for itemised deductions above. The Federal Estate Tax exemption amount for estates in 2013 and 2014 are $5,250,000 and $5,340,000 respectively. The portability of the estate tax exemption between married taxpayers has been made permanent for 2013 and beyond. In simple terms, this means that if the first spouse dies and the value of their estate does not require the entire federal exemption from estate taxes, then the amount of the exemption that was not used may be transferred to the surviving spouse to be used in addition to their own exemption when the surviving spouse later dies. The annual gift exclusion for 2013 and 2014 is $14,000. For US spouses gifting to non-US spouses the annual limit for 2013 is $143,000, this will increase in 2014 to $145,000. State and Local Sales tax – Taxpayers can elect to deduct state and local sales taxes in lieu of state and local income taxes. IRA Distributions to Charity – Tax free distributions, up to a maximum of $100,000 per taxpayer from IRA’s to US public charities by taxpayers aged 70 plus 6 months or older, have been allowed as an alternative to take an itemised deduction. First year expensing of qualifying assets – The $500,000 limit for the immediate expensing of qualifying assets (non-real property-tangible assets purchased during the year) costing no more than $2,000,000 will reduce to $25,000 with phase out starting at $200,000. Deduction for tuition and fees – expires as of December 31, 2013. What US tax planning can still be done?